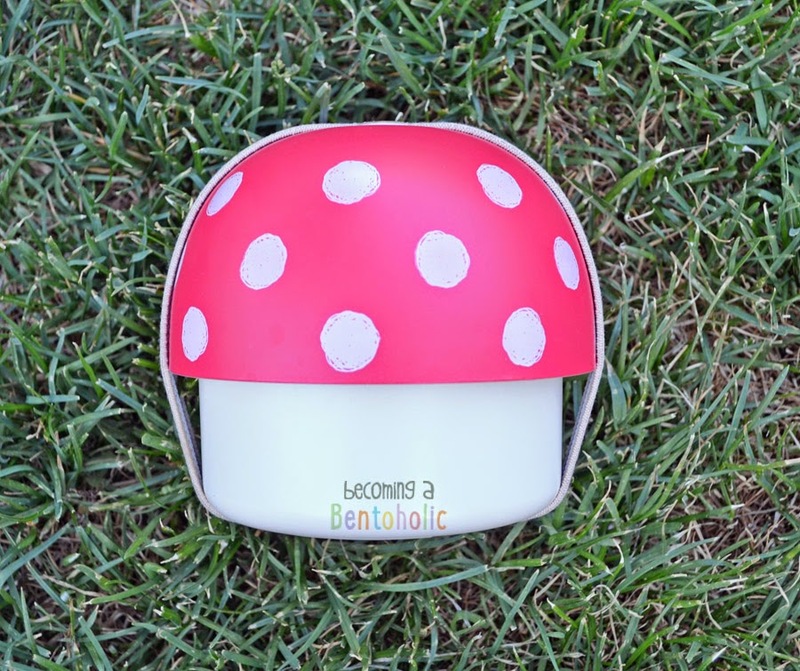 Bento & Co recently offered free international shipping on any order for 24 hours. I, of course, jumped on it as I had been eyeing this mushroom shaped bento box for well over 6 months now. Isn't it cute! I broke it in today and packed a quick lunch in it. 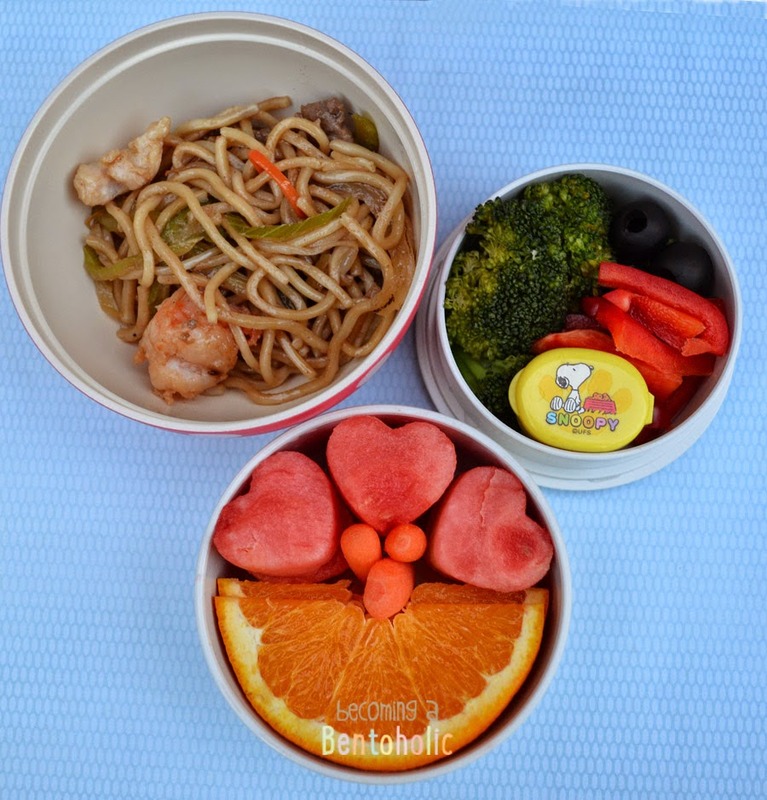 In this bento: Leftover Chinese noodles, steamed broccoli, black olives, red pepper, cheese sauce in the snoopy container, watermelon, baby carrots, and orange slices. The Chinese noodles were packed up in my daughter's thermos so they stayed warm. At lunch time she then transferred them into the bowl (mushroom top) part of the bento box. I'm dying. That mushroom bento box is too cute!